The Gardiner Expressway is a definitive part of Toronto. It is an elevated highway meant to give cars the dominance in getting to the downtown. It runs along the Lake, then above the city streets. To build it, small communities were demolished. And it wasn't meant to take our weather conditions, so has deteriorated significantly over the years. I've walked under the Gardiner, and there are huge chunks of cement on the ground, and great amounts of rust and decay up above. And it is a true wasteland in the centre of the city - a very moody experience. 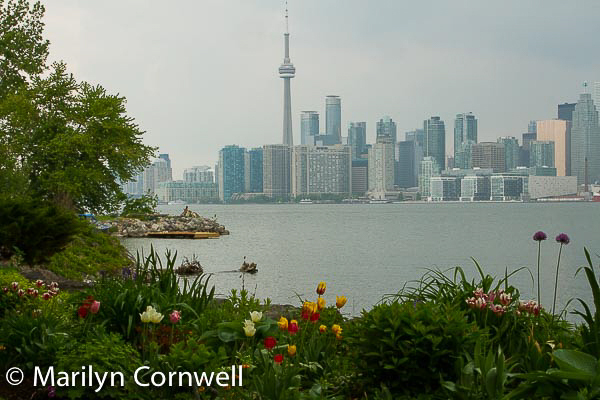 There has been turmoil over the Gardiner and what to do about its repair and maintenance. It was a 'gift' from the province - downloaded so that the City is entirely responsible for its maintenance. There have been repairs and more discussions over the years. There certainly have been times when the Gardiner has been a skating rink with ice, slowing traffic to a crawl. Now the Beltway has opened - and it is a skating rink. The underside between Strachan and Spading is a public ice skating trail. It is named after the main supports - bents. This now is a high-density urban condo area. The skate trail opened on the weekend with 'ice breaking' a Toronto hybrid of skating, ice dancing and breakdancing, with the Mayor's Skate Party, and with musical acts. There will be weekly DJ skate parties. blogTO covers it here. 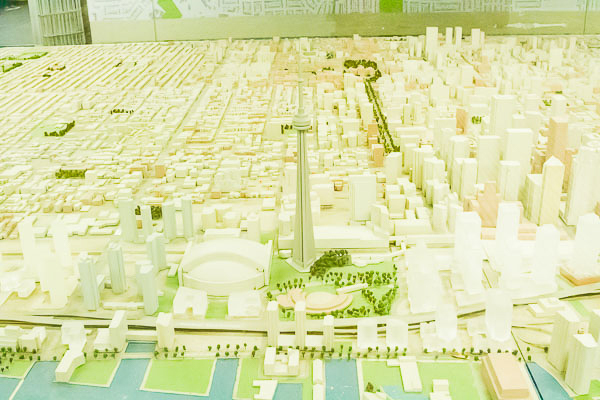 Here's the Toronto City Hall downtown model with the Gardiner curving through the shoreline section.